The retiring Celebrations Duo Embossing Folders gave me the inspiration for these cards. 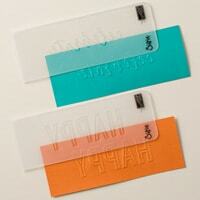 If you’ve used this embossing folder set, you know the folders are designed to de-emboss the images. The corresponding stamp set, Happy Celebrations, has many stamps that can be used to stamp over the de-embossed areas to highlight the design. 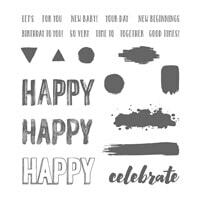 You have until the end of May (or while supplies last) to add the Celebration Duo Embossing Folders and the Happy Celebrations Photopolymer Stamp Set to your collection. The retiring products are shown below.